At the tender age of 17, James Ulmer was working at Papa Johns in his hometown of Bridgewater, VA. He simply did not like it. James was a go-getter and had an entrepreneurial spirit and he knew there had to be a better way to make a few extra bucks. With only a little beat up Mazda truck, a few tools and a whole lot of hard work, he went out on his own and starting doing odd jobs for family, friends and neighbors. While on this endeavor, he realized he had found his niche and moved to Blacksburg to back his dream with a degree. If you want to be a successful entrepreneur, don’t start out wanting to be one. Start out with a customer problem and a service that solves it. And that is exactly what James did while he was pursuing a bachelor’s degree in Horticulture Landscaping and Contracting at Virginia Tech. 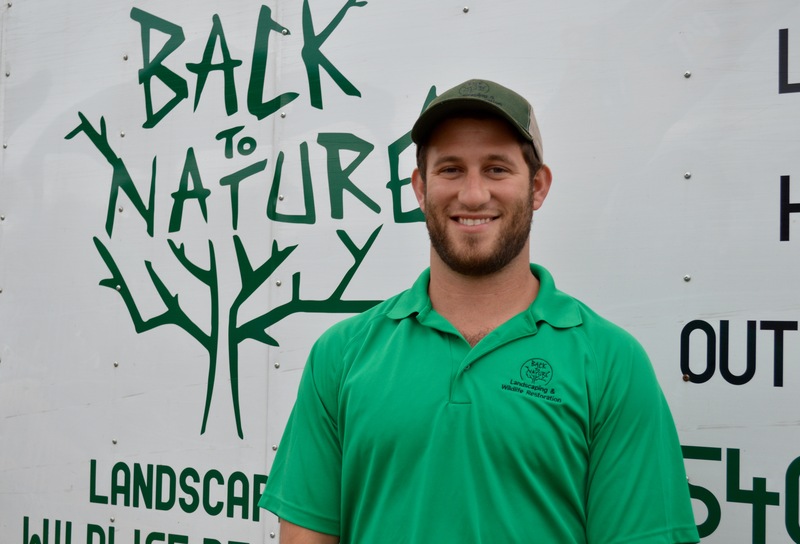 While taking classes and running a landscaping company in his spare time, James noticed a void in dependable landscaping and construction companies in the New River Valley. Driven with passion and honest at heart, James committed himself to the Hokie community to provide a genuine and trustworthy company that his customers could rely on. He is now married to his high school sweetheart, parent to two wild chocolate labs and running a successful company. The Mazda truck has since retired and Back to Nature now has a fleet of new trucks, equipment, tools and crews. James has big plans for Back to Nature and is excited to start executing them.